Uvink Tech Co., Limited specializes at R&D and the sales of UV Curable Ink, environmental-friendly Eco/Solvent ink, Sublimation Ink and DTG Pigment Ink. With more than 10 years experiences in printing field, our technician team master the core technology to research the innovative ink formulas and mature production skills. We have a lofty goal: "Let printing industry choose Environmental-friendly ink, let Chinese's environmental-friendly ink become the technical standard of the world!" Uvink Team will commit to the care of the nature to develop more eco-friendly ink! Uvink Tech Co., Limited equips with the top R&D team, imported machines and advanced analysis instruments, produce ink at dust-free workshop with constant temperature and humidity environment. With automatic refilling and packing process ensure the product keep consistent quality. We will continue to improve the product values and demands to provide customers with highest values and profitable buying experience. 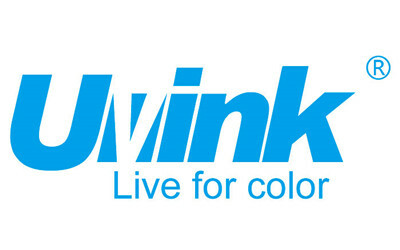 Uvink Tech Co., Limited takes the respect of the earth's ecological benefits as the core of R&D, strive to ensure that our products do no contain any substances that is obviously harmful to human and environmental health, and we are the first "Environmental Friendly Ink" innovator, with the concept of "Environmental Protection is the Future" to research and develop various types environmental friendly ink, which has pass Swiss SGS company's ROHS, REACH environmental certifications. Its environmental friendly formula not only increases the life of the nozzles, but also reduces the wastes of the resources. It can be said that it is a perfect balance between commodities and environmental protection. Uvink Team will commit to the care of the nature to develop more eco-friendly ink!